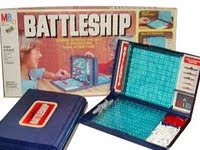 --"Battleship" the game is going to become a movie. Who in the what, now? --Hostess Choco-Bliss is gone, but you can make it at home. --Sure, you remember the arcade games from the 1980s, but do you remember the music? --Susan Olsen co-wrote a book about what is possibly the worst show ever, next to "Pink Lady and Jeff" and "Manimal": "The Brady Bunch Variety Hour." The book has a stellar title, though: "Love to Love You Bradys." --The toy we all wanted, but never got: The Snoopy Sno-Cone Machine!